Cheryl writes: I always say an MBO for a safe drive before I take off in a vehicle. Friday, I stopped at a 4-way stop sign only to watch a car on my left fly through it without even slowing down! I said, “Thank You,” as always…while I was honking at the guy! Linda writes: I have had a few experiences with negative energy in my cabin. It is on an old estate established in 1749 and the cabin was a barn built in the 1800s. I have tried a number of things to clear the energy, but there seems to be one time or another when I have experience of a dark energy lurking about. I typically feel it on my first night there which is Friday night and typically have nightmares on the first night there unless I say an MBO for peaceful sleep. I have asked for a BP to clear the energies, but I think my angels are active in chasing off the energy. I do realize that MBOs are ingrained in my life because now I’m saying them in my sleep. It was 10:30 pm on Saturday 7-7-18 in Halfmoon, NY when I was asleep and felt a dark energy, and I struggled in my sleep and said MBO, MBO, MBO out loud. My dogs even barked and then the energy seemed to take off. I am not sure what it was but MBOs are the only thing that keeps my sleep from being interrupted. Mary Ann writes: Here is a MBO story that is ongoing. I thank you for consistently putting out your newsletter and blog posts. I have benefited greatly from the Gentle Way prayer and use it all the time. It always works. Here is one example. Every Sunday I go to a local farmer’s market. It is a popular place that is packed with cars. Finding a good parking space is tough for most people, but not for me. I always find a parking space right close to the veggie stands in the row of parking spaces closest to the market. That is because I have a standing Gentle Way prayer for a good parking space at the farmer’s market. I used to request a good parking spot every week. Now I know that I always will have one available for me, and it is. One week I took a friend to the farmer’s market. She drove her own car because she had to go somewhere else after the market. I told her about my always having a perfect parking space at the market and we would have two of them this week. When we got to the farmer’s market, we saw the row in which we wanted to park was full with no empty parking spots. I had a tiny bit of doubt but pushed it back and reaffirmed getting our spaces with the Gentle Way prayer. As we got toward end of the row, suddenly two spaces opened up: One for me and one for my friend. When we got out of the car, she asked me, “What did you do?” I told her I said the Gentle Way prayer, which never fails. In August I will be starting a Healing Circle Meditation Group. Besides leading a guided meditation, I will show members different energetic/spiritual healing modalities. One of them will be the Gentle Way prayer with a handout about your books and where to find your newsletter and blog if they want to learn more. In fact, that just might be the first one I share with the group. Thanks again for all you do Tom. You have made a big difference not only for me but for many, many people. Bless you for that! Ashana writes: Well, thanks to MBOs I sold my house not once, but twice, since June! It’s currently under contract. Linda in New York writes: A few months back I said an MBO and BP for the quick sale of my house. After 4 days on the market, I received a full price offer, and I was so happy because I didn’t want to maintain a house an hour away in the winter while it’s for sale. After 67 days, the buyer couldn’t get the mortgage, so the house went back on the market right in the middle of winter in Oswego, NY, which typically gets 130+ inches of snow per season. I said BPs and MBOs all along the way. Well finally after five months, I received an all cash offer with no conditions and a two week close. It was a frustrating process, but I’m being told balancing, and the most benevolent outcome was not the first full price buyer who was going to rent the four bedrooms out as student housing, but the couple who moved there who were having trouble selling their house in another location, and were going to live there as their family home. To refer to my prior MBO/BP, one of my neighbors snow plowed all winter for me, and it was most benevolent to provide good neighbors rather than chase after the dollars, since the all-cash offer was 10% less than the first offer. The balancing is related to past business deals when I took advantage of others, so I have learned in the process that sometimes, your loss is your win, because it is the most benevolent outcome. So, hopefully I will not need to repeat that balancing and of course I do also state the mantra for minimizing balancing everyday too. Jackie writes: I had an amusing MBO story on Easter Sunday. I was putting things in eggs for my daughter’s first egg hunt when I realized I couldn’t find the eggs I bought earlier. I did an MBO to find it and kept preparing. Since I still didn’t find it, I ran to the store where I bought a few more. When I got home, I found the original bag of eggs as well! And it turns out our day was much better having those eggs plus the new ones as I used all but 2 of them. I had to laugh. You never know how it turns out! It sold in 5 days, never even got to MLS, full price cash, and I get to stay until the end of June. Perfect! REMEMBER TO ASK. Lee writes: Tom, it is tax season here in the US and we have an accountant do our taxes every year. We usually have to pay a couple hundred dollars, but this year it was well over two thousand! My husband went to see him yesterday to see what the reason was for such a big difference and I said an MBO before he left for a very Benevolent outcome and may it be better than we could hope for or expect. Well, it turned out my husband forgot to include some expenses in his part of the tax form and the bottom line was we only owed $65! That was a fantastic MBO! Thank you for all you do! My gratitude for your teachings knows no bounds. Diane writes from the UK: I really had to let you know this wonderful MBO story! I have a very nice Accountant whom may I say is a typical accountant, numbers and figures are his game. A few years ago I introduced Alan to MBOs. He was astounded to hear me say that MBOs truly work and Bless His Heart he began to say a few a day. Not too many of course! Ha! Ha! Anyway, last week Alan emailed me to say that a lady in his office was having great difficulty selling her Mother’s house. Hesitatingly, he told her about MBOs and said that if she would try them, he would also ask for an MBO for the house to sell. On the morning that the house sold, Alan said that he awoke knowing he wouldn’t have to say that particular MBO again. He went to his office and sure enough, his colleague told him that the house had sold! That was when he emailed me to tell me this wonderful story. Aravind writes from Australia: Forgot to write about this MBO: This was way back in February when I would commute to my workplace, which was located about 40kms away from home. Usually I say MBOs for a good working shift, not so much when returning home. Some minutes later I was at a traffic intersection, where I had to turn right and then onto the highway. The lights on my side turned green and I was beginning to turn right when suddenly, a police vehicle came unexpectedly from my left side. The traffic lights on my left side was red. Usually police will put sirens to warn other drivers of an emergency, or if they intend to pass a red traffic light. In this case, I was just inches away from a collision. Considering I was sleepy and a bit late in applying the brakes, this incident is nothing short of a miracle. Thank you Guardian Angel! Laurie writes: This is the Tale of the Missing Meat Thermometer! On Thanksgiving I was cooking my dear little turkey bird and knew I would need my meat thermometer to check the temperature of the meat. So I went to pull it out of the kitchen drawer, where it has always been kept, in order to take it out ahead of time. I could not find that thermometer anywhere. It wasn’t in any of the kitchen drawers, it wasn’t in a kitchen cabinet, it wasn’t in the last place I looked. I pulled out every utensil organizer I had and spread the contents out on the counter. Nada. The thermometer had disappeared. Then I remembered you telling us about your Case of the Missing Pie. Rifts open up and objects get displaced. Sometimes they come back. Sometimes they don’t. With that in mind, I requested an MBO for my meat thermometer to come back from wherever it had gone. I also allowed for the possibility that I had simply missed seeing the thermometer despite my exhaustive search, and requested an MBO to please help me find the thermometer. A short time later I found the thermometer. It was in the kitchen drawer it was supposed to be in. It was in the same utensil organizer it was supposed to be in. I don’t know which MBO was answered, but one of them saved me from overcooking my Thanksgiving turkey. Who needs Sherlock Holmes to solve this sort of mystery when we have MBOs! Sunny Ann writes: I did an MBO for a decent snowfall ….and we got 7 inches plus here in North Carolina, thank you! Sara writes: Woke up early on my day off for “no reason”, to find no water this morning. We need to run errands today so said MBO and BP they would get it working by 11 at the latest before I called the emergency maintenance line. Wouldn’t you know, a little before 11, running water again!! Thanks, angels!! Adrienne writes: Said an MBO for successful surgery last week; my doctor says it went “100% perfect” and I’m having a great recovery. Jackie writes from Colorado: I did MBOs before driving for the new year. All my passengers were safe, no accidents or even near misses for me, and I earned a good amount of money. All of which I asked for before the night began. Bea writes: I have been using The Gentle Way for a period of time. Recently I needed to have repair work on our hot tub. The estimate on the work was approximately $1200.00. When the work was complete the bill was just over $900.00. A big thank you to my guardian angel. Several weeks later we had to take our one cat to the vet for an abscess. Another estimated bill for $1200.00! I had to sign a form that I understood that the surgery could come in at this price. The surgery was very successful AND the bill was $650.00. Another thank you to my guardian angel. With both of these possible large bills I had requested MBOs before knowing how expensive they could possibly total. Part of my MBO stated that the bills would be “a reasonable, perfect price.” My husband and I are retired on a fixed income, so expenses are always closely monitored. Thank you for The Gentle Way. Carol in Canada writes: Thanks for your work. I greatly appreciate it. Two weeks ago I asked for an MBO that my stepdaughter would be the one who received the OK to buy a smaller condo unit. Our area is a ‘Hot’ market, so to it is vendor’s market. Her offer was chosen out of the five offers that were received for this condo unit. Now I am asking a MBO that she sell her house quickly as it goes on the market tomorrow. [Update] My stepdaughter’s house sold plus she received $20.000+ over the asking price with a firm offer. The house was on the market for 21/2 days!! So those MBOs sure work! I am saying many thank-yous! Jan writes: I am sending another MBO that worked better than I could hope! My college age daughter moved from the dorm to her first apartment. Her rent was due and as the girls had not set up a payment process yet, it got late. I told my daughter we had better send it quickly. The lease agreement read, $50 late fee if check not received after the 1st. of each month, $5.additional each day after the 5th of the month. So that late fee could add up quick if you were late. I then wrote a check for $1,575 (total all roommates) and rushed to the post office. As we had got a late start this month, it was Aug. 29th and Sept 1st was in 3 days. I was nervous at the post office that it would be late and I would have a $50 late fee. So they suggested I pay an extra $7roughtly to do 2-day air by the Post Office. She is in college in a different state/city. I did and was confident it would arrive a day before the 1st. I left, lost the receipt and thought nothing of it until we were contacted by the management company that we have not paid yet on by Sept.9th. Eeeek, the late fee specifically said add $ 5 ea. day after the 5th of the month. It was the weekend and i had no idea what happened to the 2 day air, and had foolishly had not kept the receipt. Now I was in the position of contacting the bank to do a stop payment on the check (add another $25.00) and paying about $75 in late fees to the apartment management company. Additionally we had to contact the management company and issue a new check. All embarrassing and all the roommates has already paid me and were all getting notices of late payment. Over the weekend I must have said this MBO or some variation, over a few times: Please May I request a Most Benevolent Outcome that my daughters rent check be found and this situation be fixed without any additional fees or stressful steps Please. That the situation take care of itself, Thank you very much. On Monday early I called the management office and was told the manager had just stepped away and would call me back, but yes they only showed there had been no payment. I fully expected to have to do a stop payment, write a new check, write a separate check for late fees, stop check fees etc. Instead the manger called me back and said the check in the 2-day air envelope had arrived THAT Day on the 12th of Sept. just AFTER I called about 15 days after it was sent 2 day air. She could see it had gone to several cities and states it did not belong to, thanks to tracking labels on it, yet was perfectly addressed to their office. She said it was the strangest thing ever and since it was clearly addressed perfectly and paid in full she should waive all the late fees. I had sent it the 29th of Aug as it showed. I was relived to have no more paperwork and felt vindicated. Odd I usually have great luck with 2-day air at the post office but no matter as long as I have MBO’s. I love those MBO’s!!! And thanks for sharing it all with us Tom. Casey writes: I asked for the Most Benevolent Outcome to a better job and my agent called saying the TV show Criminal Minds wanted me to come in to the studio and read for a part! I’m an actor and this is the dream job! I am now on ‘Avail’ awaiting final booking! I am happy and truly amazed, this really works! BEST SELF-HELP AUTHOR 2016! 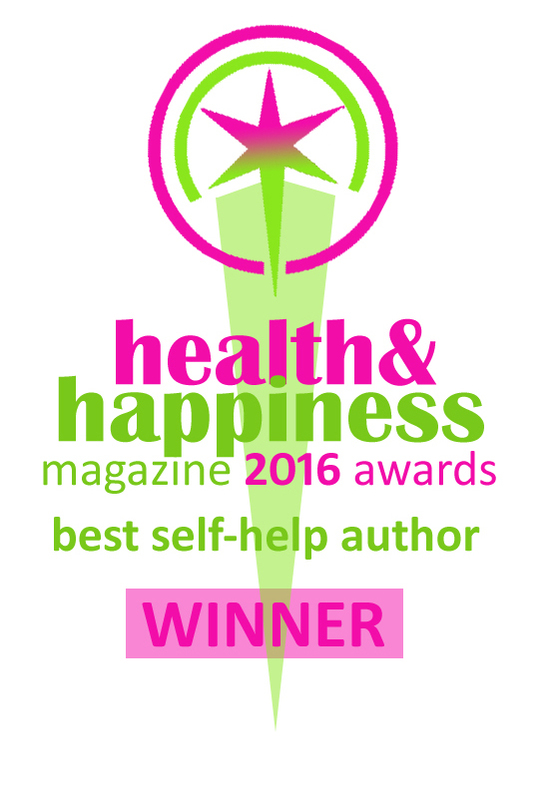 In case you haven’t heard, Health & Happiness magazine informed me that I won Best Self-Help Author for 2016 for the third straight year! I was told that set a record as no one had won for any award three times in a row. Of course, that’s all thanks to you, my loyal readers! Jan writes from Canada: I thank you for all your MBO info. I particularly find it very helpful to use MBO’s with pets. I generally find they work quickly and almost always. In the last week I have seemingly “lost” my dog twice only to have him wander right back upon request of an MBO. I am able to prevent tangled leashes, barking, and even issues with defecating as inappropriate. I am amazed at how well this works and how quickly with pets. The hardest part is trying to remember ahead instead of after the issue….ie, if the dog is already barking it is slower and may not work for an MBO, than if I ask for an MBO before I let him out at say 6 am. EXAMPLE: “Please I request an MBO for no barking when he is outside this early,” instead of after he is barking. I think this is true of many MBO’s. In Advance when possible is better. But I think they work at needed time too, just not as quickly I usually find. Tony writes: We put our house on the market March 1st. I said an MBO that we would find a buyer who would love the home and property and that would offer us what we were asking and more. And that they would be ideal owners of the property and love it as much as we have over the last 22 years. I told our real estate agent that our house would sell quickly and for more than we were asking. I wrote out a statement to that effect. I explained to our agent that if clients had objections, that not all objections need be countered. We only needed one buyer – as for the others, our house was not right for them. showing, the clients stayed for 1.5 hours – for a 1 hour showing slot. Our first offer was from an earlier showing, but was for less than we were asking – the would-be buyer did not seem excited about the house, but wanted an answer that same day – Sunday. We held off, but our agent mentioned to the agent who had helped with the 1.5 hour showing that we already had an offer, but had not responded yet. Just before 8 pm, our agent came over with the offer for $500 over what we had requested. The buyers had a pre-approval letter from their bank, and had put down a generous ernest money deposit. We accepted their offer. All my MBOs for the quick sale to wonderful buyers for above our requested price came to pass! Sue writes: I was spending the day with a visiting friend from WI. She had driven about 1800 miles over the last couple of weeks and was coming from Phoenix to where I live in northern AZ. We were in downtown Prescott when there was a funky noise under the car. It stopped and we didn’t think anything about it. A little while later, just outside of town we started hearing noises again so pulled over to look. I noticed 2 bolts on the rear right tire looked broken – the nuts were gone and it looked like the bolts were broken off. We called a tire place in Prescott and I requested an MBO for her car and tire. We got to the tire place. They came, looked at the car and told us ‘you’re lucky to be alive’. Yes, the tire had been working its way off and snapped the 2 bolts right off and were working on the others. Thank you Big O Tires and Angels. They had new bolts put on, the tire back on and everything all put back in place in about 40 minutes and cost about $50. Elsie writes: As always thank you so much for your very informative newsletter which I look forward to reading each week. Here is my latest amazing MBO story. I now live in New York and use public transportation. Last week I had to take two buses to go to a doctor’s appointment. As usual I said MBOs for the bus times to be in my favor and for safe journeys both ways. On the return journey, I decided to visit a nearby store after I came off the first bus. I crossed the street, jumped over a half melted snow puddle and proceeded. After leaving the store, I debated whether I should go right, to the bus terminal or left, to the nearest bus stop. I chose to go left. While walking past the spot where I had jumped over the snow, I suddenly saw my bunch of house keys resting on the wall! I stopped in total shock because I HAD NOT REALIZED THAT THE KEYS WERE MISSING! They were safely in my pocket when last I had checked for them. Obviously, my Guardian Angel and the MBO angels had guided me to retrace my steps and thankfully, I listened to ‘that little voice in my ear’. Had I not done so I would have reached home without the keys with no idea where I had lost them. I am still thanking all my angels for saving me from that horrendous fate. Lesson learned? Always listen to that little voice and of course, don’t keep my keys in my coat pocket and jump over piles of snow since that is probably where they fell out of the pocket. Sandy writes: My last MBO: I sold the contents of my two storage units, and the buyer cleaned out the units plus gave me the personal items such as family photographs. 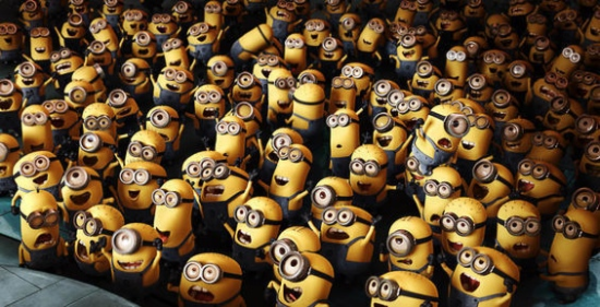 · LOTS OF MBOS AND BPS! · MBOS WORK FOR EVEN THE HARD STUFF! My first book, THE GENTLE WAY: A Self-Help Guide For Those Who Believe in Angels has been translated into Spanish, and is at the bindery. Ebook sales will begin in about one week and print sales in about two weeks. Kathy writes: I have a good MBO story for you. A few weeks ago I had the impulse to share your book, The Gentle Way III, with my boss. Mind you, I never had any sort of spiritual discussions with my boss, so it’s not as though we had this in common; rather I just felt this urgency that I needed to bring up the topic of angels and ask if she would like to borrow your book. She welcomed the idea, and since reading it has had some if the most amazing things happen for her. First, she was able to get some significant relief from debilitating foot pain, and this has given her hope. Secondly she and her husband got three offers on a house they needed to sell, after a big disappointment and no offers for a year. Now there is a serious buyer who is financially secure and offering them all they asked for, and then some; and closing is at the end of May. Best of all, there is a new sparkle in her eye, as she is seeing the possibilities she has being open to and working with her very own guardian angel. It’s so beautiful and makes my heart happy. And thank you again so much Tom, for all the work you do to share yourself and your knowledge with the world. Susannah writes: I had outlaid around $500 so that my kids could have a holiday with family and friends over the Easter break and also so that I could have much earned rest and sacred time out…. after the Easter break I checked my account and worked out what my nursing job would deposit into my account on Thursday and I realized that I had only enough to pay my home loan…instead of getting stressed I considered it an opportunity to co-create I walked around inside and outside and requested an MBO. I called my ex husband and asked about the possibility of some past funds owed to be deposited. We also talked about how happy are kids are and even though we are no longer together as a couple how we are always really good towards our kids and each other…now this man did not always behave this way…in fact for many years it was the complete opposite…anyway upshot is that he has deposited more than I could possible have expected…double the amount we discussed…. and even better an overdue amount that was also owed to me has been deposited as well…so now I have more in my account than I would normally have anyway! LOTS OF MBOS AND BPS! Michael writes: I have your books. They were recommended in my Mastermind group. Thanks for the stories- they have made me get obsessive about asking for MBOs. I can’t begin to tell you how useful the process is. Do you remember that scene, in Roger Rabbit, at the end, where the Sun comes out, and everything is great? It’s like that. Or that realization scene, where you see the flower, and a G major chord that sounds like angels singing… or the Hallelujah Chorus, maybe. I have difficult issues, to deal with, everywhere. Somehow… it’s like God’s lubricating oil, or something, or the “Optimize” button. Somehow discounts show up, in so many places. It’s very subtle, and never something one can predict, or say when, but it happens, oh does it happen, so often. I’ve used this in airports, and I don’t sweat it any more. Somehow good stuff happens. It may be getting a seat together, with my family, on the plane. My brother paid $35 for a used watch. Turned out the case was 18 carat Gold… he gets all kinds of good deals. He got me a leather sports jacket, Dallas Cowboys that sells for $150 on E-bay, used. What did he pay? $15, and it looked new, to me. My wife’s relatives love American Sports Teams jackets, which are very expensive in their country, if even available. I got one, brand new, at TJ Maxx, for $7… markdown. I was in awe. I needed another one, and there was another markdown for $20. My brother found me a used women’s watch, for $10. Turns out it was a special edition designer watch, limited production; gave it to my wife’s nieces boyfriend, for his mother, and she was delighted. I get picked on–no, I used to get picked on a lot, at work. Now, somehow the awareness is out, that, yes, I was doing more work than anyone else… that alone was worth whatever I paid for the books. Most importantly, it frees me from fear, which means I can concentrate more on helping others, and enjoying life. That is the best part, Tom. I ask for MBOs on ways to help others, like opportunity showing up, and that has been transcendental, that really opened doors. I’ve had such great conversations with young folks, in their 20’s, offering ideas, including, yes, MBO’s. Tom, would you consider trade marking MBO’s, and then selling, say rings, or rubber stamps, or stickers, that say “Request a MBO today!”, or something like that? Or selling rubber stamps that say, “I request an MBO for…” or, “I ask any and all beings to …”? Also- how would one put this on automatic, so, say, a BP happens, every time I see somebody? I played with a Feng Shui thing, where I take my pocket change, and ask for an MBO or BP, as I put each coin into a piggy bank. When it’s full, I’ll donate it to a charity. Any money I find on the ground also goes in. It’s fun. One other thing: what about producing a very small, pocket size abridgement of the MBO books? Maybe 3 inches by 4 inches, maybe ¼” thick. Why? Because it would weigh under 3.5 ounces, which means I could send it cheaply, overseas, in a regular envelope, for around $3, as opposed to around $13-$14, for the larger book. I was in a grocery store, Monday. An employee gave me a hard time, which is odd. So I complained to the store; they gave me a $10 gift certificate, and agreed my complaint was valid. Yes, I asked for an MBO in resolution of that. I must have forgotten to ask for an MBO for that day. Michael, I’m not too interested in trade marking MBOs, as I wish this to spread worldwide. I had one lady design an MBO sticker and it looked great to me but did not sell in the little store on my website. 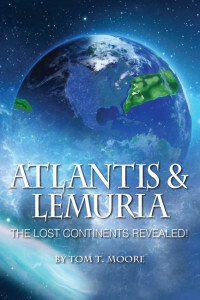 Regarding a smaller book, that would be up to my publisher Light Technology, as I did not self-publish these books. I like saying the I EXPECT GOOD THINGS TODAY MBO request each morning, which is on my website under SIGNS. MBOS WORK FOR EVEN THE HARD STUFF! Carell writes: MBO’s have become part of my daily life. I have been a minister and teacher in Religious Science for years, maybe lifetimes, and after all that training in spiritual mind treatment, I have to tell you that MBO’s are THE quickest version of prayer that I’ve met. The Religious Science training in spiritual mind treatment is invaluable. I even wrote a book to assist people in getting the hang of doing treatments, Thinking From The Infinite. Then along came your newsletter and the discovery of MBO’s. So I did one. It worked! So I did some more, and they worked! So then I did them most every time I felt an angst of some sort, a feeling of not being in sync with the Whole, no matter what the topic. Every single one I have ever done has worked ASAP except one, and that is a dramatically impressive batting average…. and that one that didn’t work ASAP, did work, because in the end, she turned out to be the best outcome of all. Rick writes: I wrote out an MBO for the continuation of my SSDI [Social Security Disability Insurance] benefits three months ago and received word today that they will continue for the next three years. Question: When you write out an MBO and it comes works out, how do you dispose of the written MBO? It seems to me that it would be disrespectful to simply crumble or tear it up and toss it in the trashcan? Your Guardian Angel (GA) does not have human emotions. Why not write “Thank you, Thank you, Thank you!” and then throw it away. Your GA serves you with LOVE, more than any of us can imagine! Sandy writes: I said many MBO’S but they were for other people, not for me. I have been saying them for my bank account though. It has been getting nice and plump from this wonderful abundant universe. I thank all beings, especially my guardian angel, who I think my mother met… another tale. Rose writes: A couple of MBOs. In the last month, I had two trips and each time I said a MBO for quick, uneventful passage through security. I travel quite a bit and have going through security down to a science, but, as a senior woman, I seem to be an easy mark for the security workers and pulled out to be inspected. The first trip, long line moving very slowly at the security checkpoint, an agent came over motioned for five of us in mid-line to be given ‘random pre-screening’. AKA, just put our carry-ons and whatever on the belt and go on. The second trip, I printed out the boarding pass at the airport (different airline) and it said pre TSA with a check mark. Same as before–sailed through security. Thank you, thank you, Angels. Flo writes: Yes. I asked for an MBO for me– for help paying bills in the coming month. Received a check from a hospital n Houston–they said I had accidentally been charged too much in –2010!!! And they were reimbursing me, just under $800!!! My scientist husband Freaked!!! FACEBOOK: You’ll find me here: Tom T. Moore6 or the book page at http://tinyurl.com/c6r7fjh . Let’s be friends!BOOK EDITOR: Need an editor for your upcoming book? Email me. Ralonne edits my newsletter and edits books. Keep sending those success stories in, as they inspire others to live THE GENTLE WAY! My first book, THE GENTLE WAY: A Self-Help Guide For Those Who Believe in Angels has been translated into Spanish, and is at the bindery. Ebook sales will begin in about two weeks and print sales in about one month. First one is my story. When I took my car in to have the front brakes replaced, I had been told that they were down to about 5% to 10%. Although I knew I could extend it a little more, I acted on the side of caution. My air conditioning was also not cooling, so I had them fill the Freon, and check a hissing noise. I requested a Most Benevolent Outcome (MBO) for the work and cost to be better than I hoped. Total cost was $315 after they gave me a discount I had not asked for. They said had I not come in when I did, if the brakes had worn down to zero, it would have damaged the rotors and the cost would have been over $500 to replace the brakes and rotors. They also resurfaced the rotors so that the brakes would seat perfectly. The hiss disappeared when the Freon was refilled, as I had only 10% of the amount needed to cool the car in our hot Texas summers. Plus all of the work was completed in two hours. They had one of their mechanics drive me home so that I could work, and then picked me up when my car was repaired. Dan writes: I don’t really have a super story or even one that stands out as being especially memorable. The reason for that is MBOs have now become such a normal and everyday part of my life, it is hard to separate what IS my life and what I ASK for in my life. I have asked for opportunities to travel and have been blessed with offers of vacation stays in friends’ condos; three in total. I’ve also been trying to sort out a relationship and have asked that energy cords be severed if the relationship wasn’t the best one for me. To that end, both my partner and I decided our relationship wasn’t what we both needed, so that brought a neat and quick end to that issue. In short, I can only say that MBOs have been such a marvelous addition to my life, so much so that I can’t imagine living my life without them. Zoe writes: The morning after I read my first message from you, I was going to a class in another community east of my home. It was the first time I said an MBO prayer to my angel when I got in my car. It being rush hour, I started to pick up speed as I started to keep things moving. The roads were wet. All 0f a sudden a car in front of me stopped. No turning light, no stoplight. I touched the brakes, but the car started to slide. Then I sat quietly asking myself what to do, as I knew that I was headed for trouble. All of a sudden a voice yelled, “Go around it.” Fortunately the two-lane road had extra width at that spot and I went past the other car safely. I shall always be thankful to my angel for taking care of me. And to you for your teaching and your relationship with Gaia and others. Dave writes: Tom, this is an MBO story to end all stories. My daughter Jenny and son in law Aaron have been looking for rural property for several years. They finally came across 7.4 acres of wooded land with a pond that they fell in love with. The problem is that the market for housing in their residential area is flooded with new homes selling for less per square foot than they need to get out of theirs. So for the first few weeks on the market they were getting zero action. To top it off, they have four dogs, and a chicken coop with 6 chickens in their backyard which might detract from the property. Aaron even considered getting rid of the chickens (euthanizing) to make the house more “showable”. So later in the week Aaron called to thank us for his birthday card $ and wish us a belated happy anniversary. And oh by the way, we sold the house! Wow! That was quick. “Yes, before they put the final offer in writing they wanted to clarify two things; does the washer and dryer come with the deal, and the wife, she wonders if the chicken coop is included.. and oh, yeah, she wants the 6 chickens too… Can you believe it? Talk about a win-win! And the irony is, that even if these people would prefer a new house in a newer subdivision, because of homeowner association restrictions against livestock, they could not have had chickens… so Jenny and Aaron were not even competing with anyone at this point. And they actually were offered exactly what they needed to make the deal on the new property work. The closing is May 16 subject to inspections and of course we expect a most benevolent outcome for that as well… Thanks Tom, for all you do! 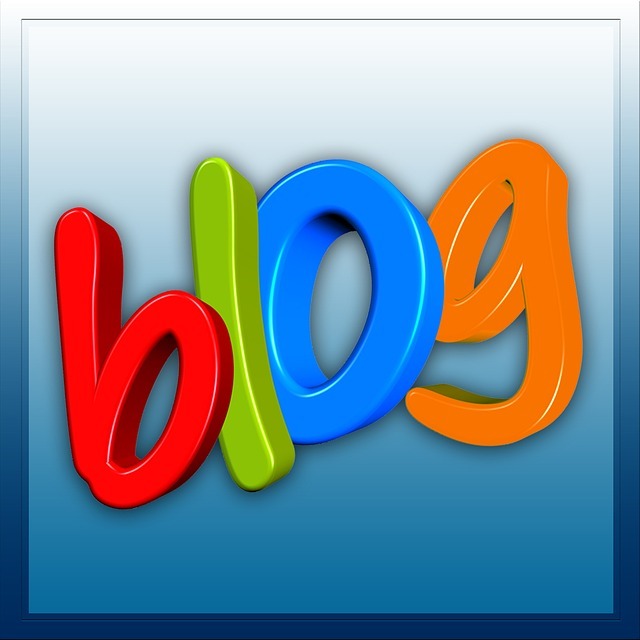 Dee writes: I have a couple of MBO stories I requested. First, my car had been running rough for a couple of weeks as well as a brake light coming on at strange times and going right off. I wasn’t having any brake problems though. Finally, the service engine light came on and my husband said that was good because now maybe they could fix what was wrong. In the past the light would come on but then go off after a little bit and the dealership never could figure out what was wrong with the car. I said an MBO for my car repairs. My car is a 1998 Buick. I asked for them to find what was wrong with the car and to fix it at a reasonable cost in a timely manner. Well, my husband decided to take it to a Firestone store near home rather than the car dealer this time. It took a couple of days but they discovered the problems and fixed them at a cost of $1500. They also did not charge us for a few things because of it taking longer than expected. If we had taken the car to the dealership, it would have easily exceeded $3000 for everything that was done. I am really appreciative of my GAs and MBOs. Thanks. My other MBO related to my husband’s car, but it was my fault so I did an MBO for a speedy fix and reasonable cost. I inadvertently hit the button for the sunroof to open instead of the light I was trying to turn on. Long story short it opened from my touch, but only part of the way and when my husband pressed the button to close it, it continued to open all the way and it would not close. We took to dealer and they said it was an after-market sun roof. We were shocked because we bought it used from dealer who sold to original owner 2 years previously. Anyway, they couldn’t fix it. We tried another place and they weren’t sure if they could fix it because they only did one type and we couldn’t tell them which type it was since it was stuck open. They suggested another company who did both kinds of sunroofs so we would be covered by whatever brand it was. Again, long story short, they fixed it at NO CHARGE because the automatic stop did not work and they submitted their bill to the manufacturer for reimbursement since they were guaranteed. Thank you so much for telling us about MBOs. I use them all the time. Susannah writes: I requested an MBO via a cybercircle I joined for Intenders of the Highest Good, and my request was that a good Russian historian help me in relation to my father and his ancestry. That was two weeks ago, Straightaway the person who had previously not been very good to me, suddenly changed their attitude and has been simply wonderful and helpful, I have found out more in the last two weeks than the last 20 years. Incredible. Thank you Tom. Renee writes: I was listening to a weekly radio show on Hayhouse.com the other day. A couple of minutes into the show I lost the audio. My Internet was acting up. I requested an MBO that I would be able to hear the whole show and that I would stay connected. Well, I heard the whole show … but my Internet was NOT working! Every time I opened a tab and tried to open a web page, I got the “page not found” message. My Internet was out, but the show continued to play! · MBOS FOR HOUSE SALE & MORE! http://tinyurl.com/kmggzoc on Amazon.com. This book contains all my columns from The Sedona Journal of Emergence for the past three years, separated into chapters such as Travel, Home Repairs, Career and Work, Relationships, and Weather & Natural Disasters. Many of YOUR stories are in this book. It’s very inspiring. 352 pages! Ann writes: MBO’S– I needed to buy multiple units of three different items at a big box store– possibly with a red and white logo. The stores stock, at most, 2 of each item at any one time. So before going in, I took a very deep breath and asked for an MBO for being able to obtain just what I needed as easily as possible. Well, after speaking with three different levels of management to see if they could order in a quantity for me (because they would not let me speak with the store manager), I was told they could print out a list of stores that “might” have them in stock and I could drive the area trying to buy what I needed. So, I took another big breath and went home to take another look at how to solve the problem. Long story short the red and white store would never have fulfilled the “easy” part of the MBO, but their failures made me look deeper and find their source so that I could obtain as many quantities as I need at a far better price. Diana writes: I still remember my MBO when we were buying our dream house and got financed by a company on line. After finding my dream house and being preapproved. I was told no you are not approved. I kneeled and asked for an MBO and I got a second email 8 minutes later. We checked your credit report again; you are now approved. Then she wrote I have a severe headache, going home. Congratulations!! Do you remember when I sent you the emails? I saved money for years and finally my home!! MBOS FOR HOUSE SALE & MORE! 6. I request that the contents of my house gets moved without any damage on Sept 21/22, better than I could imagine. Thank you. (Also manifested on the 21st). I’ll call her Carol writes: I have been using MBOs for a couple of years now. Many times they have worked for me. Sometimes they don’t and it’s those times I wonder why. One example is I was driving to work one morning…I had really worn tires, so I said an MBO for me to get to work safely and that I do not have a flat tire. The very second I finished saying the MBO, I hear a loud noise…. the right rear tire blew out! Some local people that I know stopped and helped me put the spare on. It seemed almost like I called it upon myself? Why such a coincidence? Could it be that I may have had an accident if I hadn’t been delayed? On another more serious note…I have been saying prayers and MBOs to bring the perfect mate into my life...Two days after I requested the MBO a local guy who I casually knew from seeing him around town and at the store asked me out. We dated for 5 months and it was in my heart a total blessing…then some other woman interfered and broke us up. I’ve been told by a spiritual advisor that he needed this learning lesson before a lasting bond could be built with me and that he started a relationship with this woman because he was not emotionally connected with her and his attachment to me scared him. I understand now that he and this other person are not at all getting along. He is still friendly with me when I see him in town…. there never was any strife between us. Could it be that he had to learn a lesson or is it just not meant for us to be together? I seriously thought my MBOs had been answered with this person and truly feel a deeper connection with him than anyone I’ve ever known in my life. I’m totally confused about this, especially since I met him right when I was requesting the MBOs. What does Theo have to say about why these things have happened? Is the advisor right or if not why such a cruel twist to what I thought was an answered prayer? Since you’ve been requesting MBOs for a while you really almost have the answers already—you just wish for me to verify. Yes you did have the flat, which that little voice in your head was telling you it was about to happen. When you requested the MBO it happened immediately, and you were given help to fix it in a place where none of you was in danger of being hit by someone not paying attention to their driving, and you were not on your own. Regarding the man you met and had a relationship with. He could still be the one or perhaps you needed that relationship to prepare you for the PERFECT one. One way to make sure is to request a MBO to sever ALL energy cords not in your best interests. If he is the one the energy cord will not be broken, but if he’s not, then it will be much easier to move on. And at the same time request a MBO for the PERFECT mate for you. That way you’ve covered everything. Chrissy writes: Recently I got bronchitis – again – and my doctor asked me to have a chest x-ray just to make sure that my lungs were clear. When I saw him a few days later, he said there was a small shadow on the lungs and he wanted me to have a CT scan to rule out anything major and then added in the majority of cases, it is nothing. So I duly had the scan and then the doctor’s office called me to make an appointment to see the doctor the next day. I hate the waiting and dislike it even more when they ring to say the doctor wants to see you. All sorts of things run through the brain! Anyway, I said several MBOs asking that whatever it was, that is be minor. The doctor said my lungs were clear BUT I had a gallstone – I knew that from when I had my scan for the kidney stone. I also have a hiatus hernia – damn! I am not on medication and don’t need to be but I do need to be aware. So once again the Angels came through with good results – well as good as I am going to get at this stage. Jill writes: Well…I seem to conjure (Halloween HA!) up problems. I am the one with three people on three sides of me wanting my property. Anyway… I was on Craigslist looking for someone who would like to rent a room from me. Before, I said a few MBOs about getting the idea renter and everything I could think of like to be clean, quiet, pay on time, etc. I replied to a female and we were emailing back and forth and when it was time for her to come over from Georgia (US) she suggested she’s mail me a certified check for a deposit and asked for my name, address, city, state and phone number. I didn’t think anything strange about it and I asked a lady friend that has a Bed and Breakfast set-up and she read the emails and thought it was copasetic. As soon as I sent her my information, all of the emails stopped cold. I went onto Craigslist again and read some of their scam warnings and it looked like her ad. All I gave her was info that anyone can get on someone on the internet. To be safe, I signed up for Equifax (credit checking Co. to keep an eye on my credit for me) Looks clean so far. I also did a few MBOs on protecting my credit and personal information. “I request a Most Benevolent Outcome that my identity in all its forms be protected now and forever, thank you!” I said this one year ago when I first came across the MBO. I even asked that she not even remember our conversations and that my emails disappear from her computer or whatever she is using. I caught your show last night and great as usual! I think you handled it as well as it can be handled, with the MBOs your requested. One of my readers asked me to create a Benevolent Prayer for two Czech girls held hostage in Pakistan since March. Here is the BP for everyone to say out. Don’t forget that ALL THREE GENTLE WAY books are NOW AVAILABLE as Ebooks on Kindle and other services! You can also order the print versions by phone at my publisher Monday to Friday. Call toll free 800-450-0985. The books are great for presents for family and friends for birthdays and other special occasions! ALL THREE books can change lives! Renee writes: I have a great one for you! We recently bought a new home. When we were in the offering stage we made an offer, which included the seller giving us $6,000 back at closing (to cover closing costs). The seller insisted that she wanted a certain amount after closing costs. So we offered an amount $2,000 above what she was asking. We had the inspections done and the house appraised. The appraisal came back at $14,000 LESS than what she was asking and $16,000 less than what we offered. We really thought the deal was dead in the water. I requested a Most Benevolent Outcome that the seller would accept the lower price and that we would be able to buy this house. We really didn’t expect her to accept the lower offer … but she did! We closed on the house a day later and moved in three days after the closing! In addition to my MBO above … the mortgage company kept needing “one more thing” from us before final approval. It was really getting on our nerves. I finally said to my husband … “repeat after me. I request a most benevolent outcome that the underwriters now have all of the documents we need to close on this house.” We got the call the following morning from the mortgage company telling us we were closing the next day. I drove away elated, thinking wow…what a great thing to get out of that ticket. And then it hit me – that WAS a great thing! Directly related to the statement I had made to my GA just minutes earlier. I thanked Max profusely for coming through for me. This stuff really works! You can go to my website http://www.TheGentleWayBook.com and click on SIGNS in the Menu to print out the EXPECT GREAT THINGS MBO request. Mary Lou writes: I missed my earring tonight about 10:45 pm. I had it one, but I couldn’t find it. I asked my GA to show me where it was, I went there, looked in the bed; Guess what! It was in the bed. Thank you. Carol writes: During the height of the real estate market in 2007, I refinanced my home on an interest only loan. All these years since my house has been “underwater”. I was so worried about what I would do since I couldn’t refinance without a 20% equity, so I was dreading my 5 year “renewal” of my payment. So I said a MBO that the payment would be better than I could expect or imagine. When the envelope arrived from the bank I slowly tore it open to find that my payment had gone DOWN 44%. Now that’s a successful MBO. Belinda writes: Wish my friend could tell you. She had a double whammy. She used the MBO for both selling her house and getting a major job in Shanghai. Well, she sold her house within two months and she got the call out of nowhere and they are sending her to Shanghai for two and a half years with a well known American company. She would always tell me she didn’t believe in MBOs but after this happened, she’s sold!!! Sandy writes: I did an MBO that my last minute prescription would come through and I could pick it up. The prescription was there and waiting for me. Gautam writes: I was trying to send money abroad to capitalize a business. The Banks were not allowing me to do that; they had conditions I could not meet. I gave an MBO for help in breaking the deadlock; the banks have now climbed down on their demands, and this week I see myself sending money abroad after meeting on a fewer conditions. Thank You Tom. Don’t forget that BOTH GENTLE WAY books are NOW AVAILABLE as Ebooks on Kindle and other services! You can also order the print versions by phone at my publisher Monday to Friday. Call toll free 800-450-0985. The books are great for presents for family and friends for birthdays and other special occasions! Either or both books can change lives! Plus my third book, FIRST CONTACT: Conversations With An ET will be out June 26. FACEBOOK: You’ll find me here: Tom T. Moore6 or the book page at http://tinyurl.com/c6r7fjh . Let’s be friends!BOOK EDITOR: Need an editor for your upcoming book? Email me. Ralonne edits my newsletter and edits books. Keep sending those success stories in, as they inspire others to live THE GENTLE WAY! Have a Most Benevolent Week! home on an interest only loan. All these years since my house has been “underwater”. I was so worried about what I would do since I couldn’t refinance without a 20% equity, so I was dreading my 5 year “renewal” of my payment. So I said a MBO that the payment would be better than I could expect or imagine. When the envelope arrived from the bank I slowly tore it open to find that my payment had gone DOWN 44%. Now that’s a successful MBO. Gautam writes: I was trying to send money abroad to capitalize a business. The Banks were not allowing me to do that; they had conditions I could not meet. I gave an MBO for help in breaking the deadlock, the banks have now climbed down on their demands & this week i see myself sending money abroad after meeting on a fewer conditions. Thank You Tom.